Benson is the leading wine and spirits-focused marketing agency in the United States, with an expanding presence in France. Since 2000, we have worked with a blue chip roster of wine and spirits clients, helping them launch and re-launch brands, drive awareness, and convert buzz into advocacy and sales. Our vision is to be the preeminent global wine and spirits marketing agency. In 2005 we opened an office in New York, and then another in France in 2012. Over the years our services have evolved to incorporate digital marketing, media partnerships and advocacy marketing, among others. But we have never sought to be the biggest. With a cross-cultural perspective and a collaborative approach, our goal has been to be the best at what we do. Benson is the only marketing agency with offices in the dynamic, epicurean markets of New York City, Napa Valley and Lyon. Working as one team, our collective finger is on the pulse of influencers in the U.S. and France. 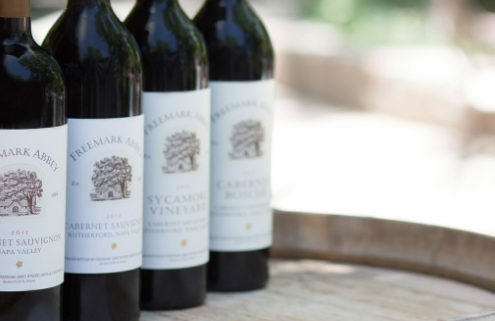 Our love for non-traditional marketing and great storytelling–and for all things vinous and spirituous–propels some of the industry’s best-known brands. Clients benefit from cross-functional account teams composed of specialists in branding, PR, digital advertising and advocacy marketing. This combination of industry focus and service integration is the key reason Benson’s average client engagement exceeds four years. Benson’s vision is to create the preeminent global wine and spirits marketing agency. To get there, the agency pursues a simple people strategy, the “Upward Spiral.” The agency adds truly outstanding people to our account teams, who deliver stellar results, which attract the right clients, and allows us to expand and evolve. This self-reinforcing strategy influences every aspect of the company. Benson founded the agency in 2000 and directs client strategy and creative development. He speaks frequently at industry conferences and university seminars on digital media, direct marketing and brand marketing. Prior to starting Benson Marketing Group, he was brand manager and export sales manager at Franciscan Estates, and marketing director for the Napa Valley Vintners Association which brought him from Los Angeles to Napa. While in LA, he managed PR campaigns for LVMH Moet Hennessy Louis Vuitton brands including Domaine Chandon, Moet & Chandon, Hennessy Cognac, and Tanqueray. Benson holds an MBA from the University of Southern California and a BA from Occidental College, both in Los Angeles. Jeanne joined the world of wine in 2005 after obtaining an MBA in Wine Marketing & Management from INSEEC-Bordeaux. 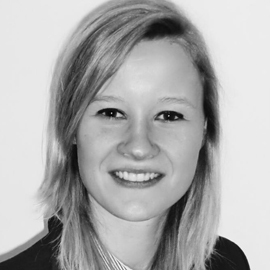 After a brief time doing marketing for Vinexpo, she joined communications agency Clair de Lune in Lyon as an Account Executive. She worked for a number of appellations like Crozes-Hermitage, Vacqueyras and various appellations in Languedoc and managed Public Relations for clients such as Nomacorc, and the Loire Valley Wine Trade Fair. Jeanne joined Benson Marketing Group in 2012 to lead the opening of our Paris office. With her experience in wine and spirits, Jeanne is able to give her clients a total global vision of the market as well as the most appropriate marketing strategies for success in France. Drawing on her experience working with Italian, Spanish and Portuguese brands, Schlendorf coordinates media outreach, story pitching projects, trade promotions and social media campaigns that garner attention for a diverse array of wines and vineyards. She also brings a tenacious and organized hand to wine events for press and trade. Schlendorf joined Benson’s New York office in 2008 from Winebow, a successful wine importer and distributor located in New York. Working in the education department, Schlendorf developed training materials to help the sales team and buyers better understand and sell the company’s broad portfolio of brands. Schlendorf is a Certified Specialist of Wine, Certified Sommelier through the Court of Master Sommeliers, and graduated with a BA in history and economics from Colgate University. Jones leads a variety of marketing efforts, developing strategy and executing tactics to create buzz for clients and their products. She has a keen interest in market place trends, what people are drinking and how they are spending their free time. Thinking like an editor, Jones has a knack for developing appealing storylines that resonate with writers and result in ink for the agency’s clients. Prior to joining the agency, Jones worked for Robert Mondavi Corporation’s headquarters in Napa where she coordinated media campaigns for the company’s wine brands. She graduated from Boston College. Ben joined the agency in 2013, bringing an array of public relations and marketing experience from his work with clients in the hospitality and restaurant industries. An avid learner, Ben enjoys studying the worlds of wine, spirits and food, and applying his knowledge to help clients achieve their goals. Ben’s range of skills has expanded to include social media marketing and digital campaigns. Prior to Benson, he worked at Seigenthaler Public Relations, an award-winning marketing firm in Nashville, Tennessee, where he crafted and implemented strategic communications programs. He graduated from Belmont University with a major in public relations and a minor in business administration. He also completed the foundation level of the Wine Business Management Certificate program at Sonoma State University. A Texas native, Ben referees youth ice hockey games in his spare time. Since 2007, Susan has managed the agency’s accounts payables and receivables, cashflow, and client expense accounts. She coordinates a range of different domestic and international accounts the agency uses to fund operations and client campaigns. Prior to joining the agency, she managed winemaking and vineyard rojects as Pahlmeyer Winery’s first full-time employee, in Napa Valley. Her finance career began in Los Angeles at First Interstate Bancorp, managing corporate and municipal debt obligations, and she continued in that role later in the bank’s San Francisco department. She has a B.A. in History from the University of Redlands, in southern California. Megan joined Benson’s Napa office in early 2016 with a background in public relations and trade events. Her specialties include assisting with community engagement across all social media platforms, as well as developing content for PR campaigns and creative marketing strategies. Prior to Benson she worked for companies such as Francis Ford Coppola Winery in trade and public relations. Megan graduated from Sonoma State University with a degree in Wine Business Strategies and Marketing. Alisa brings a wide range of experiences and perspectives to her work at Benson. Alisa grew up in Moscow, Russia for almost 10 years and has traveled extensively. Alisa contributes to many of Benson’s public relations, social media and digital campaigns. Previously, she worked for Ruder Finn in New York on the McDonald’s and Novartis teams where she placed stories in top-tier publications. Prior to that, her interest for marketing and public relations grew while working for the Bedford Post Inn (Bedford, New York) where she led a variety of marketing campaigns and managed the Inn’s social media presence. Alisa earned a B.S. in Marketing at SUNY Plattsburgh. 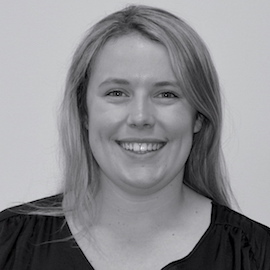 Meryl joined Benson’s Lyon office in 2017 as PR and digital project manager. While she has a degree in law, the draw of wine and food drew her to obtain a Master’s degree in marketing at ICN Business School in 2015, and later, a WSET 2 certificate. Prior to joining Benson, Meryl developed her communications skills at the renowned wine estate Domaines Barons de Rothschild (Lafite) and prior to that working for an agency specializing in food and wine communications in New York City. There, she managed numerous promotional, digital and event campaigns for the French Ministry of Agriculture and French wine regions. DeAngelis is a seasoned Information Technology executive based in Silicon Valley that has been working with startup companies for over 20 years. Ron and his team manage Benson’s technology resources and infrastructure, spanning three offices and a range of different applications for the agency and its clients. Ron graduated from San Jose State University with a BS degree in Business Administration/Finance and Communications. He founded and has led Jump Start Technology, an IT consulting firm headquartered in Mountain View, CA, for more than 15 years. Ron’s prior experience includes managing IT at C-Cube Microsystems (as it grew from 150 to 1200 employees with offices worldwide in less than 3 years), Novell, and Franklin-Templeton. Cristen joined Benson Marketing Group in the fall of 2018 with a background in public relations and event planning. 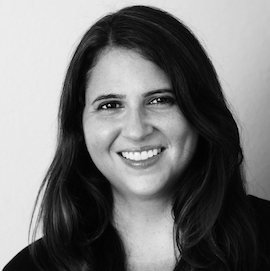 Prior to joining the agency, Cristen worked for Rubenstein Public Relations in New York where she worked with a variety of hospitality clients, which sparked her interest in wines and spirits and cocktail culture. Prior to that, she worked at JMG Public Relations, planning events for celebrities such as Kelly Osbourne, Paris Hilton, Kathy Lee and Hoda, among many others. Cristen was responsible for pitching and garnering placements in top-tier publications, as well as client management. Cristen earned a Bachelor’s of Science degree in Public Relations with a focus in Journalism from SUNY Plattsburgh. Amanda joined the agency’s Napa office in 2018, bringing marketing experience across several industries outside the wine industry, but most notably in the area of in-bound marketing. Her specialties include compelling content, effective digital campaigns, and engaging social media posts. Amanda now combines a personal interest in wine with her professional experience. Prior to joining Benson, Amanda worked for companies in the music, family, and non-profit sectors. With Futures Without Violence, she participated in digital partnerships with Netflix, the US Department of State, and the Ad Council. In her time at ArtistWorks, she partnered with Grammy award winning artists and the GRAMMY Foundation to expand the reach of the online education platform through content marketing, digital campaigns, and social media advertising efforts. Amanda holds degrees from Dominican University of California in Political Science and International Relations. She minored in Spanish and travels extensively in her spare time. Erin joined Benson’s Napa Valley office as a digital marketing associate in 2018. 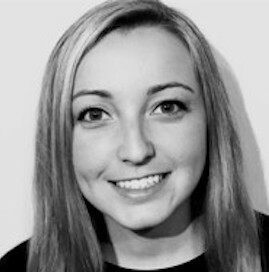 She contributes to Benson’s social media and digital campaigns by developing content and campaigns, assisting with community engagement and writing creative copy. She began her career as a technical writer in Los Angeles before moving to the Napa Valley in 2012. Prior to joining the team at Benson, she worked in sales and hospitality at Domaine Carneros winery and as a freelance writer in the wine and tourism industry. She loves studying wine and foreign languages and holds a degree in Anthropology from UCLA. After studying history, Maëva completed her studies with a Master’s degree in Communication and Strategic Marketing at EFAP school in Lyon. She has been passionate about the world of wine since she was 19. 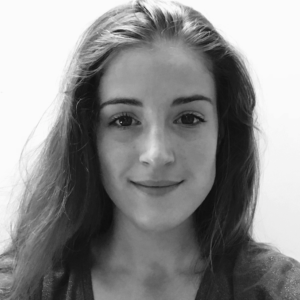 In 2018, Maëva joined our Lyon office for a 6-month internship, which was followed by a full time role in 2019. Aurelie Khalidi is a freelance graphic designer, art director and illustrator. She graduated with distinction in fine arts from École Nationale Supérieure des Beaux-Arts. After several years of inspiring work with several advertising and design agencies—including Pôle Company and OPS2 in Nice, Rouge in Paris–she founded Orange Vif in 2007. 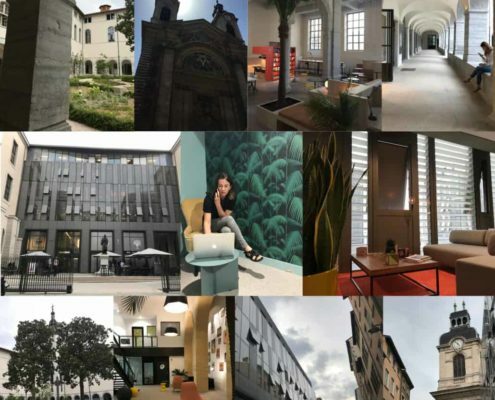 She builds on successful experiences working in London, Paris, Nice and now Lyon. She applies her creativity to ad design, visual identity, branding, packaging, and web design. Her range of experience is very broad, including Volvo, X-Box , Campari, Nice Aéroport International, St Gobain, Nokia, Yves Leccia and Domaine Michelas St Jemms, among others. If you are inspired by how our strategy supports our vision, we invite you to review our current openings. 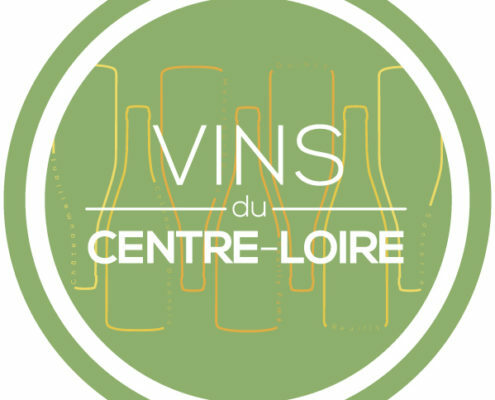 To expand press coverage and awareness of the Centre-Loire in France, Benson's French office has been retained by the BIVC, the Bureau Interprofessionnel des Vins du Centre-Loire. 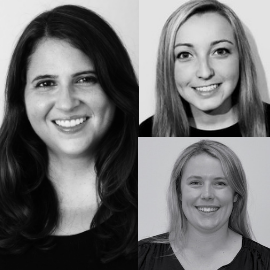 To manage digital and PR projects in both Benson’s Napa and New York offices, the agency has hired three new professionals: Erin Mooshagian, Cristen Monty and Amanda Garren. 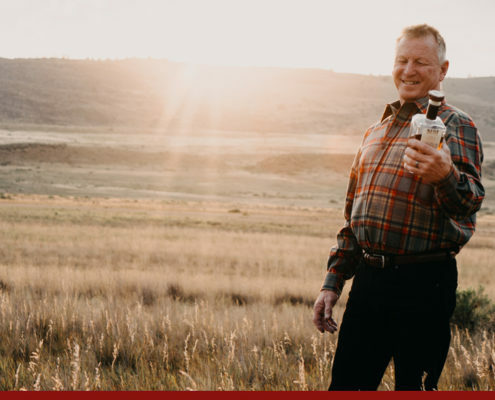 Founded in Fort Collins, Colorado, Old Elk Distillery has retained Benson for branding and PR work on its Old Elk Bourbon, Dry Town Gin, and Nooku Bourbon Cream brands. Appropriately, Benson France is one of the first companies to move into Lyon’s new gourmet landmark, l’Hôtel Dieu. Benson is very pleased to begin work with O.R.E. 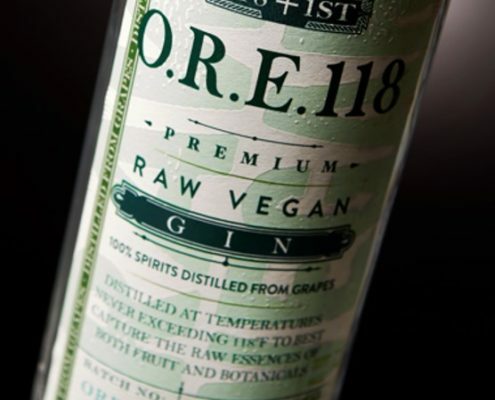 118 Raw Vegan Gin, the first spirit of its kind in the U.S. and the only spirit to be allowed a Raw Vegan claim on its Certificate of Label Approval.